Serenity envelops the Catawba River just outside the town of Great Falls, S.C., where red-shouldered hawks surf the thermals in search of bass, catfish and prehistoric-looking gar in a 450-acre reservoir. 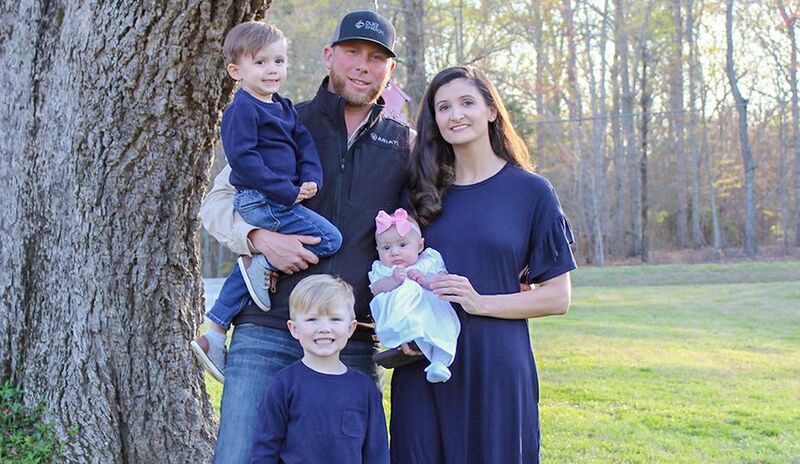 Things will get much livelier just downriver, however, when this stretch of the Catawba River is reborn with two whitewater runs and enhanced recreational opportunities including kayaking, fishing and hunting. Recreational tourism and development will provide a dramatic boost to Great Falls, a community hard hit by the decline of the textile industry it once relied on. 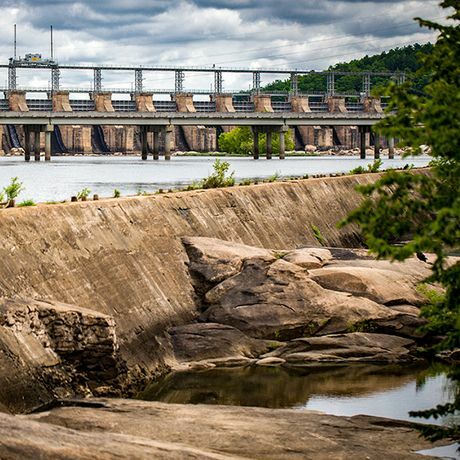 It was here, more than 100 years ago, that the Great Falls Dearborn Hydroelectric Plant’s two dams were created across separate reaches (uninterrupted stretches) of the river to form the reservoir. 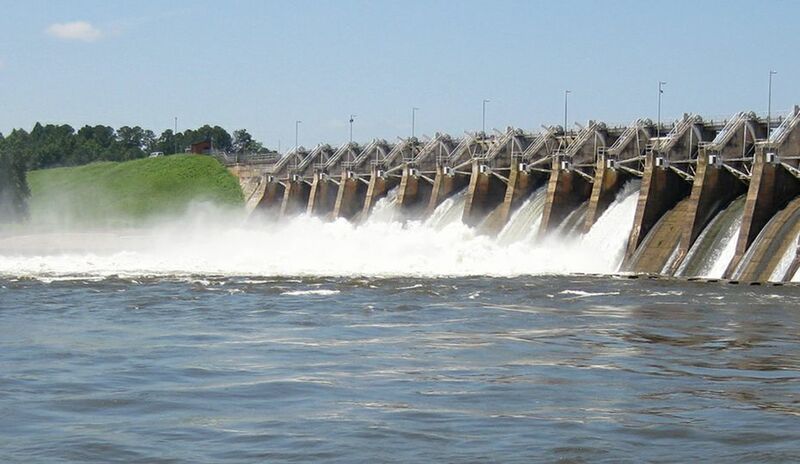 As part of Duke Energy’s license with the Federal Energy Regulatory Commission (FERC) to manage the river, the company will return water into these now dry reaches. The view below the Long Bypass Dam where boater access switchbacks will be built. Fishing Creek Hydro Station is in the background. 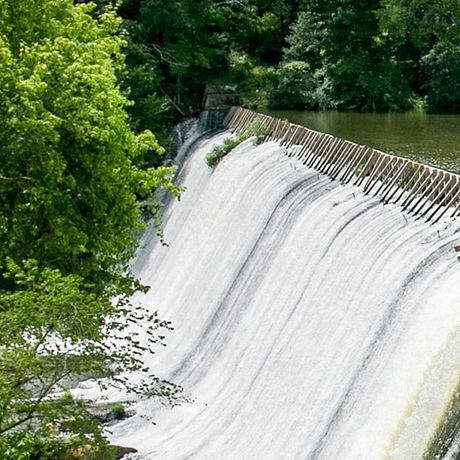 Duke Energy is working with S2O Design, designer of Charlotte’s U.S. National Whitewater Center, and HDR Engineering to create two bypass channels for boater access and year-round navigation. 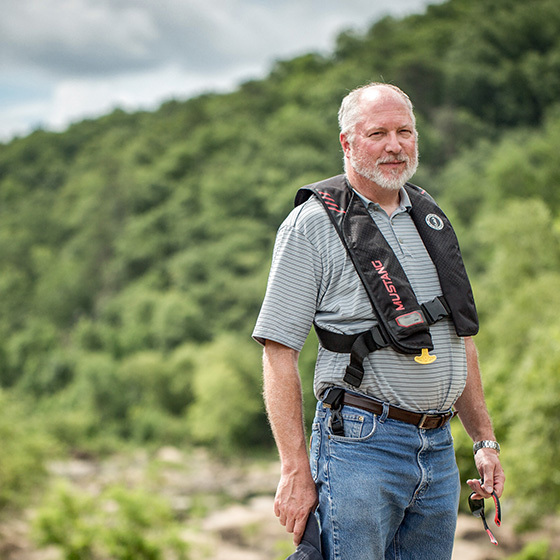 S2O specializes in whitewater design and is led by three-time Olympic kayaker Scott Shipley. 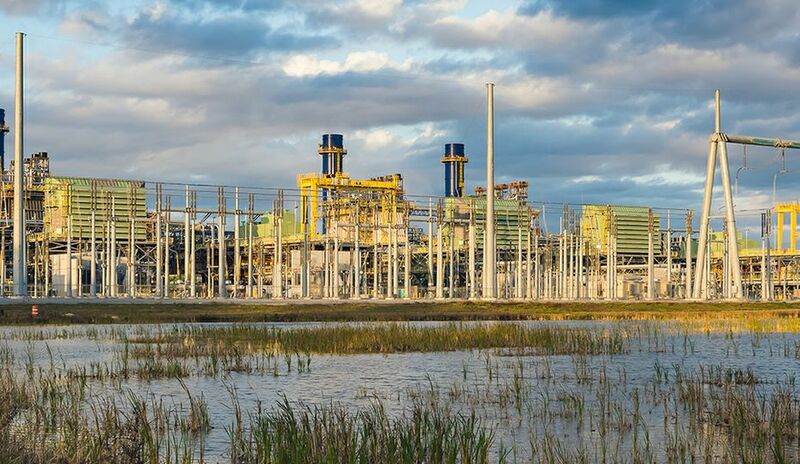 HDR provides engineering support to Duke Energy across the generation fleet. The long bypass, about 1 1/2 miles, will gradually dissipate the released water's energy using switchbacks and deliver a challenging series of rapids with smaller, predictable waves. Farther south, the short bypass will have a larger drop and a significantly faster flow of water, creating a higher class of whitewater rapids. Each bypass will use notches and gates to regulate the water flow. Three boat put-ins are also part of the plan, dramatically increasing paddler access. The canal dam at the short bypass reach is topped by wooden flashboards. The flashboards will be replaced with gates to control the water flows. Great Falls has been interested in nature-based tourism for years. The town was receptive to whitewater development, said Glinda Coleman, executive director of the Great Falls Home Town Association, a nonprofit organization with the mission of revitalizing the area through economic and community development. 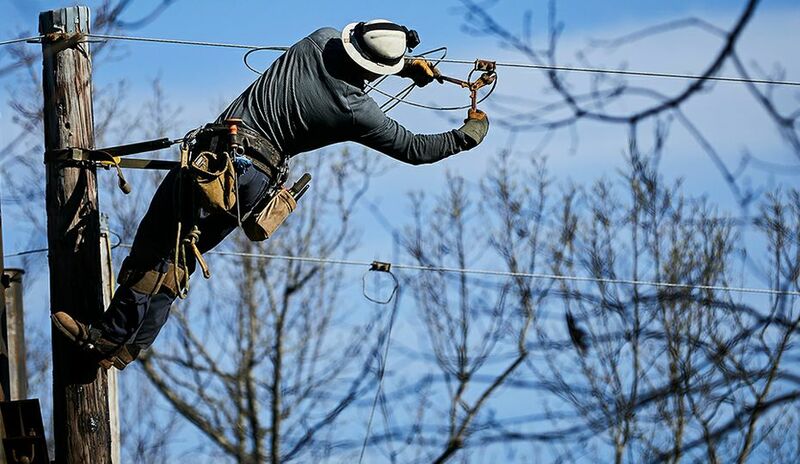 As part of the relicensing agreement, Duke Energy will work with the S.C. Department of Parks, Recreation and Tourism to develop a state park on Dearborn Island, giving $1 million. Duke Energy will build a pedestrian bridge to the island from the canoe and kayak launch and develop a trail to the bridge and trails on the island. On the 650-acre island, created when the Great Falls dam was built, are ruins from the 19th-century Mount Dearborn Armory and Arsenal, a federal facility. Project design plans are subject to review from local and federal agencies and will need permitting and environmental review. “After incorporating design input and feedback from the various agencies, we’ll put the construction out for bids late 2019, and possibly begin construction in the first half of 2020,” Huffman said.